Being broke does not just happen by accident. It is a direct result of bad choices made overtime that eventually turned into habits that masters you. Like a thermostat, once these habits are set, it becomes nearly impossible to break them without deliberate and intentional effort. 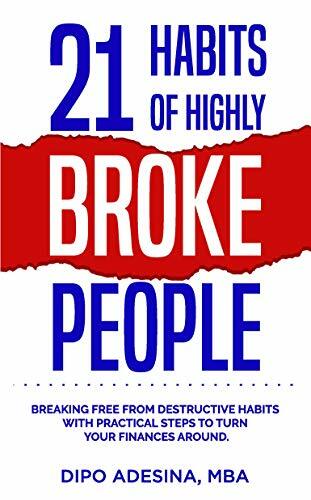 21 Habits of Highly Broke People dives into details on the habits that keeps people poor, and practical action steps you can take to break free from these habits. 1. How your choices about money is keeping you broke. 2. What the rich do differently from the poor. 3. How to break bad habits and replace them with positive habits.